Theories on tasting often say you’re palate has to warm up, first wines don’t thrill. Theories on tasting often say your tongue gives out rather quickly to the tannin and that first wines impress more. Theories on tasting are there to corn-fuse you. Convening at The Peninsula in Beverly Hills, right out of the gate the LearnAboutWine (LAW) Napa event struck me with the O’Connell Family Wines Gabrielle Collection. Yes,the Irish are now about more than just the straight up booze. They had a frenchy rosé and their 201o Juxtaposition Cabernet Sauvignon benefited from the cooler conditions in that particular growing season, shading it a bit Bordeaux. 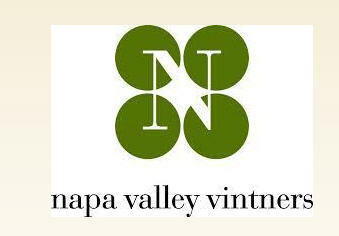 LAW’s “Meet the Nappa Valley Vintners” had a stellar line-up, so I got on the phone to my old boss (when I worked the Universal Studio Tours), current “Sales and Hospitality” at Pride Mountain Vineyards, Andy Nies. Andy pushed me towards Oberon (2012 Cab had a nouveau sweetness without the boring bottom), Mira Winery (2010 Cab and a 2009 Syrah that were both smart tasting entries) and Quintessa’s genius 2010 meritage. Vin Roc Wine Caves had a huge gathering around their table checking their un-Oaky 2012 Chardonnay. Pick of the day may have been the Saintsbury 2011 Brown Ranch Pinot Noir or the Roy Estate 2009 Propietary Red. And a straight-up plug — LAW is doing a Santa Barbara wine weekend — check it out, totally reasonable.